Friends of St. Peter’s, Henfield. – St. Peter's Church, Henfield with St. Giles' Shermanbury and St. Peter's Woodmancote. The Parish Church of St Peter has always served as a focal and gathering point for the whole village community. A considerable portion of Henfield history is recorded within its walls as well as in the churchyard, famous for its 104 beautifully-clipped yew trees. The site which it occupies has been sacred ground for over 1000 years, for it was in 770 AD that the Saxon Count, Warbold, built a wooden church on this, the highest point in Henfield. By 1250, this initial building had been replaced with a small church of Caen stone and this was enlarged in the 14th and 15th centuries. The church remained virtually unchanged until 1871, the year of the major Victorian restoration and enhancement. In 2008, a major re-ordering was completed that included new lighting and flooring, under-floor heating; new chairs of a unique design; and a kitchen and church office. St. Peter’s is now well-prepared to serve the third millennium. So why do we need the Friends of St Peter’s Church, Henfield? 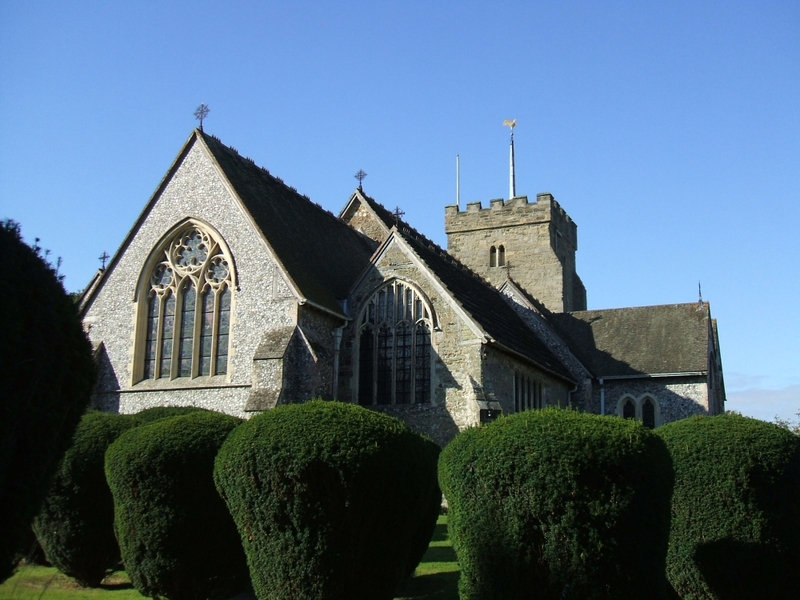 The Friends of St Peter’s Church are bound together by a common concern for the history of our village and particularly for that ancient part of our heritage – the fabric and structure of our parish church. The Friends are a group of people from all walks of life, not necessarily members of the St Peter’s congregation. To raise funds for the on-going restoration of St Peter’s Church through an annual programme of events. To ensure the provision of an increasingly valuable asset for the use of the whole community. Will YOU become a Friend? St Peter’s Church needs to number among its Friends those who are concerned for our village, its community and its heritage. For over 1200 years, St Peter’s has been a place of welcome and worship and has enabled the local community to gather at times of celebration and of sadness. Succeeding generations of Henfield residents have cared for the magnificent building that has served the village as its parish church. Its conservation requires great skill and, inevitably, the cost of its upkeep is considerable. We invite you to join The Friends to ensure that St Peter’s remains available to future generations, serving the community in which it is set. Subscriptions are due annually on 1 June. “The Friends of St Peter’s Church, Henfield”.